Children's illustrator and trail designer Emma Metcalfe was commissioned to devise and illustrate a bespoke family trail for Gunnersbury Park in London. The aim of the trail was to encourage families to explore the parkland and look for some of the wildlife that lives in park. 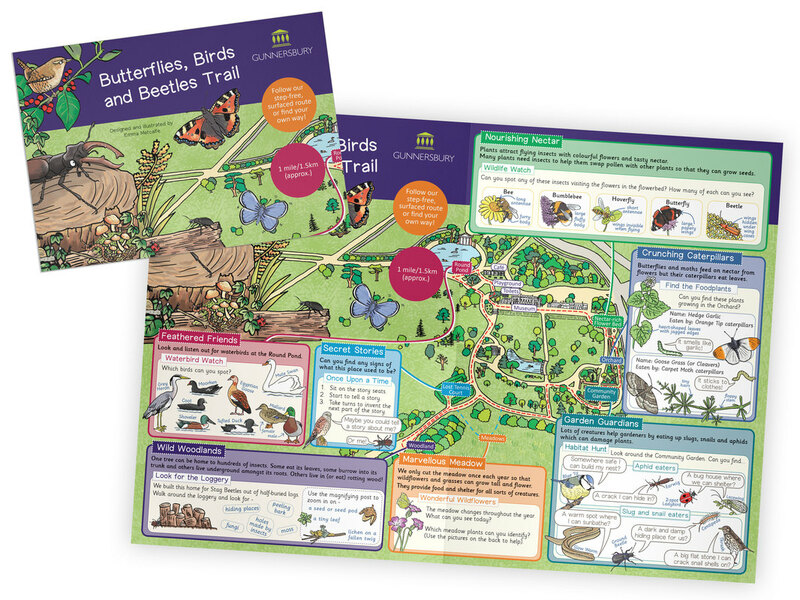 The trail format is an A5 8pp cross-fold leaflet which opens out to A3. The front has an illustrated map of Gunnersbury Park with different trail locations highlighted. Visitors can choose which areas to visit first and it doesn't matter if you don't have time to do the whole route in one visit. 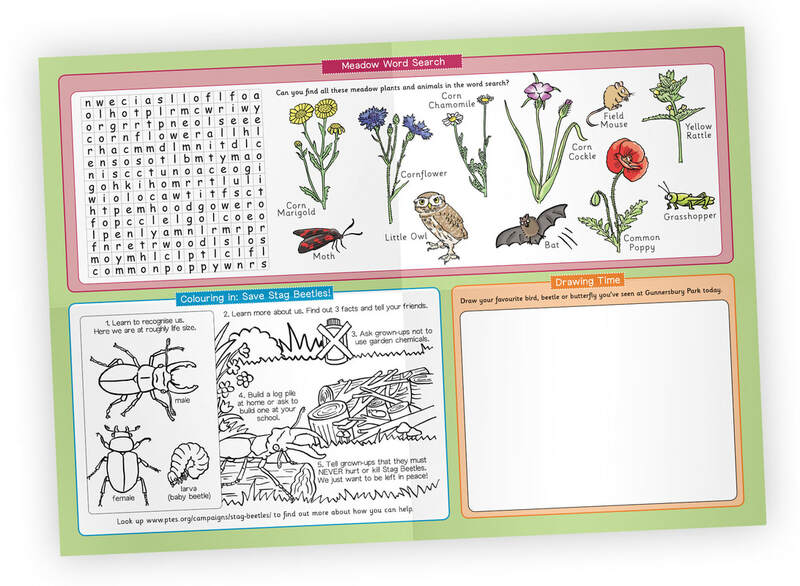 On the back is a page of children's activities including a meadow wildlife wordsearch and a colouring picture about ways to help endangered stag beetles. 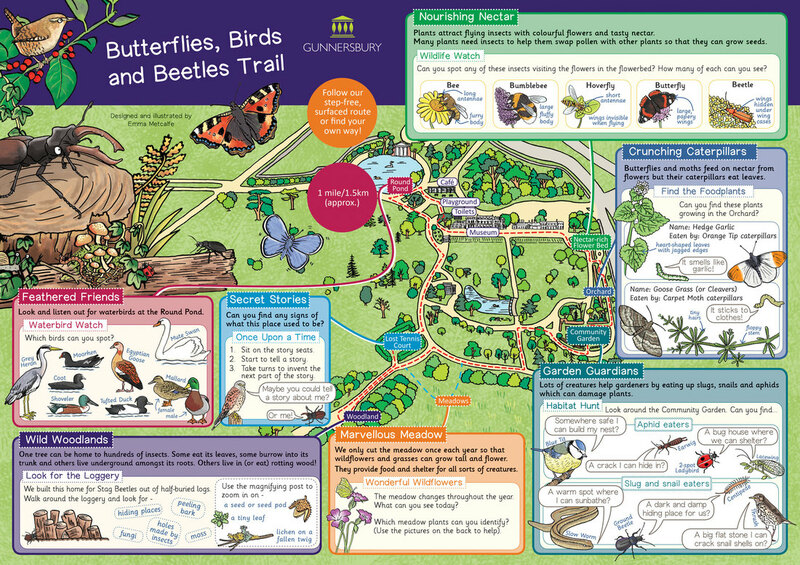 Butterflies, Birds and Beetles is available from Gunnersbury Park.